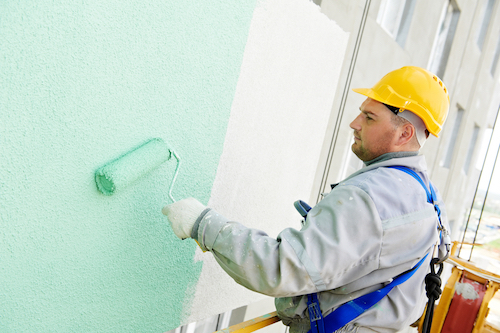 Planning a commercial paint project is more complicated than planning a residential paint job. The timing of your project can have an impact on your customers, your employees, and even your bottom line. When you have a commercial property there may be restrictions on how and what you can paint that do not apply to residential properties. There are some extra elements to consider when you have a commercial property painted but careful planning can prevent major issues from popping up. The three steps listed below can help you effectively plan your commercial paint project. The timing of your commercial paint project will have an impact on how disruptive the process is to your business. If you own a retail store, December is probably not the best time for a new paint job. If you are an accountant, you should avoid a big project like painting during tax season. Be strategic about scheduling your commercial paint job in order to minimize its impact on your customers, employees, and yourself. Is your business in a historic neighborhood with a list of approved paint colors? Are you one storefront in a larger shopping center with rules about changing the façade? Do you own a franchise with very limited options for exterior and interior colors? Any of these factors can impact what you are able to do when it comes to painting your business. Learn the parameters you have to comply with so you do not end up having to get your property painted a second time to fit within the regulations of your area or industry. If you built your business from the ground up then there was a time when you did it all. Every element of running the business was your responsibility. That model works when things are small but it will stifle growth if you try to maintain a one-person-show for the long run. Learning to trust other experts with elements of your business is an important part of growing your company. When your business needs a new paint job the most efficient option is to hire a commercial painting company. The project will get done quickly in the hands of an experienced professional. In addition, the finished product will meet your expectations when you choose a contractor with a proven track record. You can get help from a commercial painting contractor with each of the elements mentioned above. If you know that you want your property painted then go ahead and give your local painting professional a call. A top notch contractor will be able and willing to guide you through each step of getting your commercial property painted.